I. Words and Melody from "Slave Songs of the United States";�II. 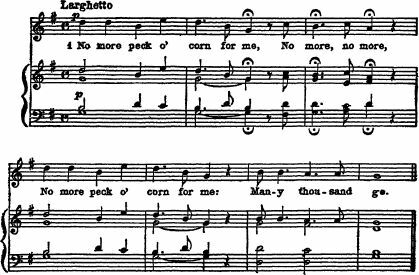 From "The Continental Month�ly" of August, 1863, reprinted in "Slave Songs";� III. From "The Story of the Jubilee Singers." The arrangements are by H. T. Burleigh. 8 No more pint o' salt for me. 6. No more mistress' call for me.